Idles about and blows bubbles. Found on the coast north and south of Temple of Karabor in Shadowmoon Valley (Draenor). Fills the area with a healing mist, causing your front pet to restore 157 health every round. Deals 98 Magic damage to all enemy pets, restores 98.5 health to all allies and turns the weather into Moonlight for 9 rounds. The first H/P I got was a rare, so definitely caught that. But I'm looking forward to finding a P/P of any rarity, and I'll upgrade that for sure. This pet looks fantastic. Love these unique types. As with all of the pet spawns that can spawn in the region of your garrison (Shadowmoon Valley for Alliance, Frostfire Ridge for Horde), the easiest way to farm for the breed you want (in rare of course) is to have the "Creepy Crawlers" decoration active from the Hallow's End world event. 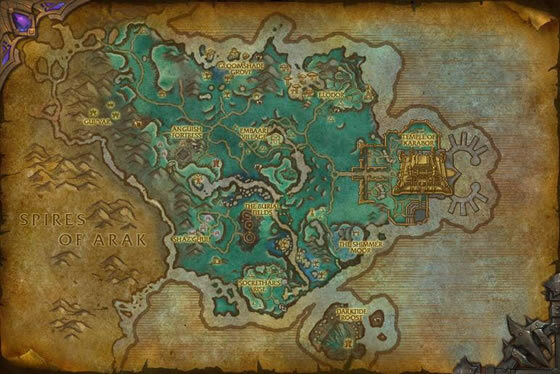 As these are INSTANT respawn when killed, and any of the pets from that region can spawn as seconds; pick a spot, settle in, and just keep checking and killing if it's not what you want. I found a rare moonshell crab, to the right for the barracks! This pet will be a new addition to my Moonlight teams. 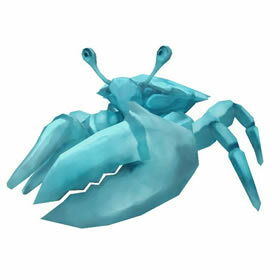 They are my favorite PvP teams, and I like what this new crab brings to the table. I'll use the P/P breed for Moon Tears and Water Jet. Oh, and the shell blocks 86+ damage too! Can't wait to try this Moonshell Crab tonight! Took me about 30 fights to find a rare. Well worth the effort however. Strong defense, healing and a powerful attack. Not on the level of my Ragnaros, Idol or Runt, but still a great "guardian" addition to my collection. The moonshell crab reflects light so well that they can be picked up and used as a mirror. Just keep your face away from the claws!